Dedicated this article to understand how Networking works in VMware vCloud Director but before we proceed further with the concept of VMware vCloud Director networking. 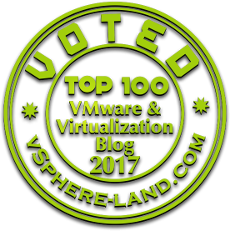 Let's understand about VMware vCloud Director which is a software solution that help us to create Secure, Multi tenant Private cloud by pooling the underlying vSphere resources. Vcloud Director helps you to provide dynamic networks for your customers without damaging the stability of your corporate IT network. External networks helps providing a connection to the outside the world (internet). External networks are backed up by port group in your vSphere. These include distributed switch port groups, standard switch port groups, and Cisco N1000V port groups. 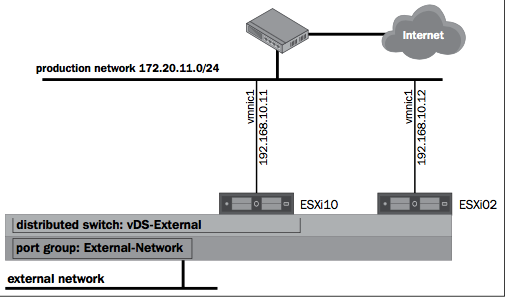 As a best practice use distributed switches as they provides consistency in terms of names and port groups on all ESXi hosts in a cluster. 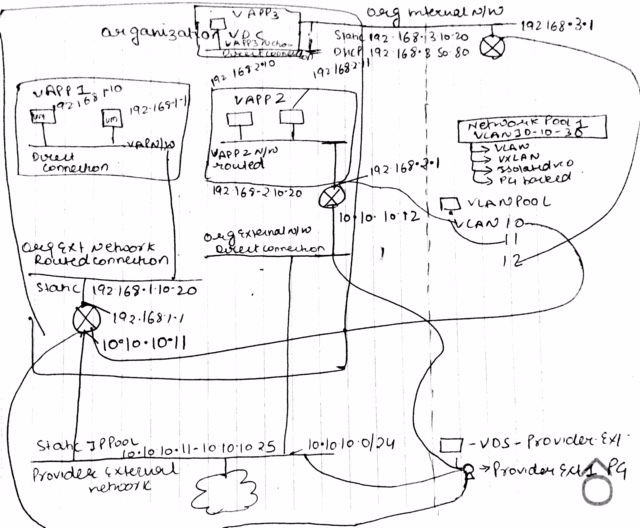 Org network is used by virtual machines in the Organization VDC (Tenant) to communicate with each other. Also to access other networks, including Organization VDC networks and external networks, either directly or through an Edge Gateway that can provide firewall and NAT services. There is a further categorisation that exist for Organization Network as each Organization may have different set of requirements that how exactly they want their Networking to be set up. Direct Connect Org VDC network- As the name says a Direct Connect organization vDC network is a representation of a specific external network. Which uses external network to connect directly to the Internet or to systems outside of the cloud.Direct connect Org VDC network are created by System admin and cannot be changed or managed by Organization Administrators. 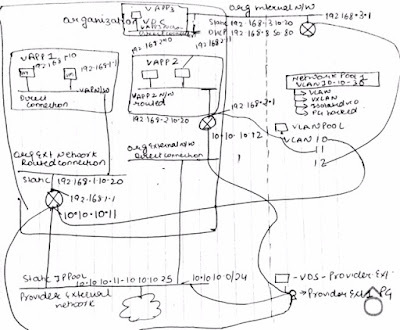 Routed Organization vDC Networks- This network connects to a vShield Edge gateway device (router). Only a vCloud Director System Administrator can manage external connections to the edge device.Once an Edge gateway has been created for an Organization, the Organization Administrator can create as many routed networks as necessary, within the limitations of the Edge gateway device that have been defined by the vCloud Director administrator. Isolated Organization vDC Network- An isolated network is backed by an Edge device that can provide DHCP and Static IP services to a single organization's network. Organization Admin can create any number of isolated organization VDC networks. An isolated organization vDC network is defined as a Single Subnet. A vApp network is a logical network that controls how the virtual machines in a vApp connect to each other and to organization VDC networks. And a further Categorization does Exist for vApp Network as well likewise Organization Network. Direct-connect Network- Extension of Org VDC network , in which the Virtual Machines are directly connected to a selected Organization VDC Network. Routed Network. The Routed Network type of connection is the most common vApp network configuration when the virtual machines of a vApp must have Internet access or access to other hosts attached to the network. Isolated Network. An isolated vApp network does not connect to an Organization VDC network and a vShield edge device is deployed for isolated networks. Very useful post.Thank you so much for sharing this post.